One member of our class complained that when she added corrugated cardboard it just sat there on top. I had the same thing happen until I tore the cardboard in such a way that there was more than one layer visible. This seemed to help it ‘feather’ down into the painting. 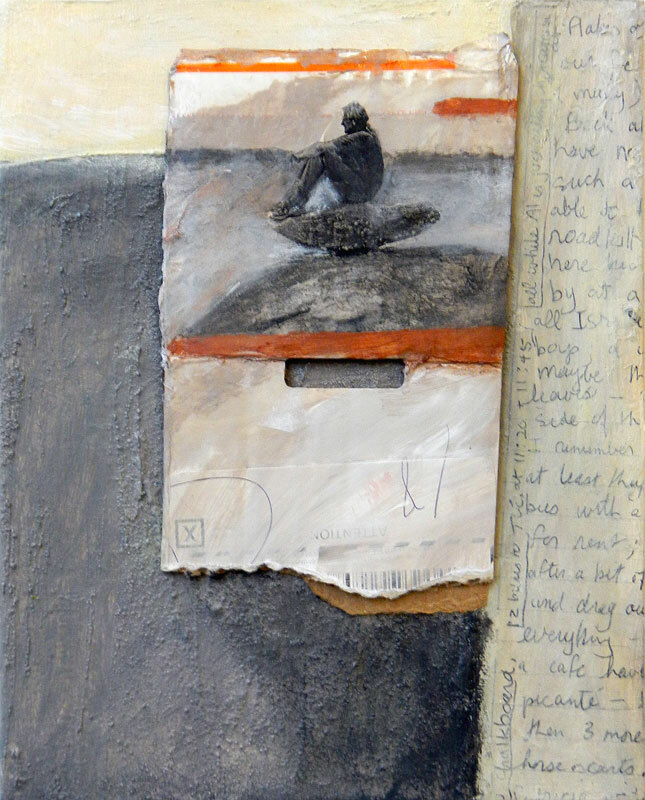 In this second image I placed an image transfer onto the smooth white surface of this corrugated mailing envelope which I then collaged onto the painted surface. 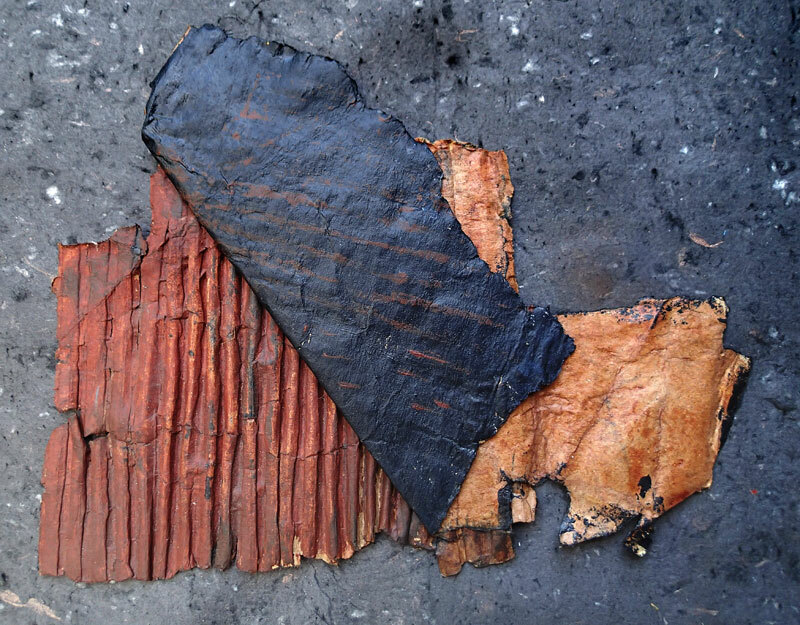 Here the corrugated card was partially peeled back and then used to ‘print’ irregular stripes onto the image. 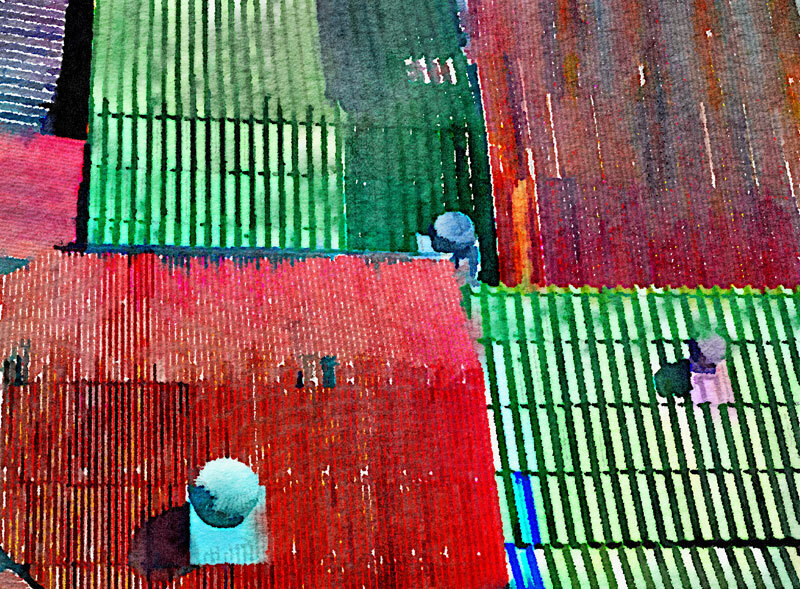 Bangkok’s corrugated metal roofs run through the photo app Waterlogue provided inspiration for another piece. 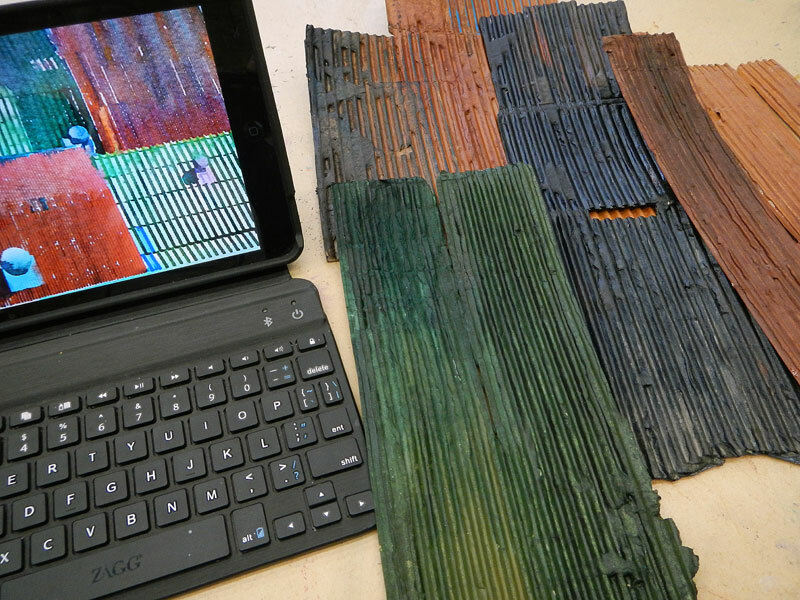 Prepping cardboard for painting of corrugated roofs in Bangkok. I haven’t finished to yet but hopefully soon! More of Jennifer Nichole Wells’ One Word Challenge: Cardboard. I was going to say how gorgeous that first painting is, but as I scrolled down I realized how I really love everything you’ve posted, the colors, the texture. Very nicely done as always.